Hi. I’m Dr. Jolene Brighten, a licensed Naturopathic Doctor, entrepreneur, writer, wife, and mother. Like so many, I’ve experienced the feelings of fatigue and stress that come with a busy, rewarding life. In fact, most of us aren’t functioning and performing at our best. The good news is there’s a reason you’re feeling fatigued, frazzled, and weak. There is a root cause to fertility issues, brain fog, chronic pain, and digestive disorders. Together, we’ll take a look at your whole health story, from your diet and stress triggers to your lab values, all of which help me to create an individualized plan that fits your specific needs and unique lifestyle. We’ll work together to navigate the science behind the way you feel and find a balance between conventional and alternative medicine. Before earning my Doctorate of Naturopathic Medicine at the National College of Natural Medicine, I received a BS in Nutrition Science and completed graduate coursework in Molecular Nutrition at Cal Poly, SLO. I am a Holistic Pelvic Care™ specialist and have trained extensively in Biotherapeutic Drainage, Integrative Women’s Health, and chronic disease management. What happens to a woman during pregnancy? How do the adrenal glands and thyroid relate to postpartum depression and anxiety? What supplements should a woman take for postpartum recovery? Dr. Richard Hansler is a physicist who spent 42 years as a scientist at the world-renowned GE Nela Park Laboratory where he developed lighting technology. He is also a professor at John Carroll University. 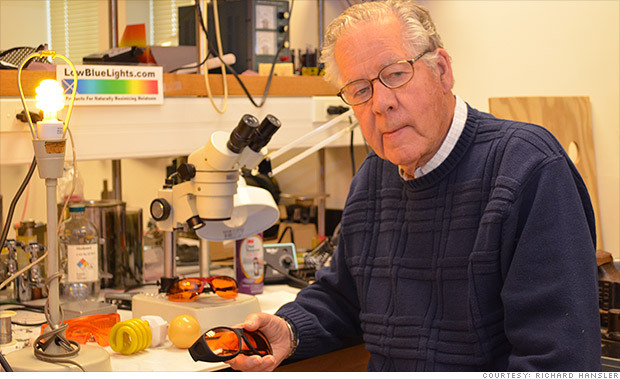 He currently holds 86 patents and is going to continue to research ways to protect us from the harmful effects of blue light, especially at night time. For more information on his work and technology development you can go to the Low Blue Light website. CLICK HERE to go to iTunes where you can subscribe, write a review and download the show(s). CLICK HERE to go to Stitcher streaming radio for those that don't use or have access to iTunes. If you would like some free things along with podcast updates with new topics and guests, sign up for the newsletter below. You can also find us back at the NJP Facebook page.